Not one of the family have been to church. & Anna were here to supper had Lobster. Rec d a letter from Pauline this morning. Lobster was served for supper, a change of pace from more usual fare of beef, bread and pie. 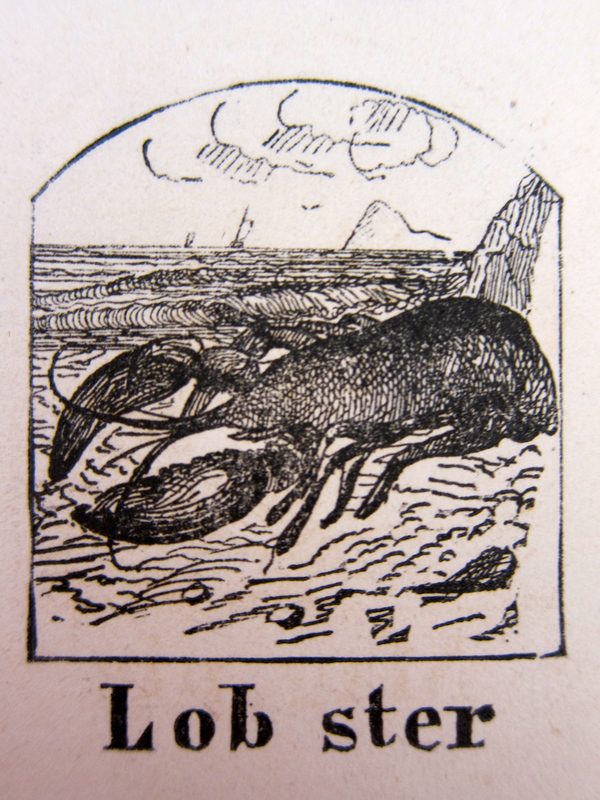 Until very recently, lobster had been considered a dish fit only for the lower classes, a sure sign of poverty. It was so cheap that it was often served in prisons. In the novel Little Women, Amy March was embarrassed when a handsome young man bumped into her on the omnibus while she was carrying one in her basket. Only at mid-century did the crustacean’s “vulgar size and brilliancy”* begin to appeal to the more affluent. Whether Evelina served it because it was beginning to be fashionable to do so or because it was still a very economical meal is hard to say. Certainly, it was easy enough to obtain. Oakes probably picked it up the day before while in Boston.